Louis D.W. Magie was an American Engineer who worked with The General Electric Company in the United States. He moved to Peterborough in 1900 and worked for Canadian General Electric until his retirement in 1938. Mr. Magie sought financial advice from James H. Turner, Charted Accountant and a partner at McColl Turner in Peterborough. Mr. Magie married Jessie Fairweather following the death of his first wife Emiline Peck. Jessie was the daughter of William Fairweather founder of the Fairweather Company in Peterborough and subsequently in Toronto. The Fairweather Company became a well- known name in Canadian retailing. Mr. and Mrs. Magie had no immediate family members and in 1950, Mr. Magie wished to make provision for the disposition of their estate. Dr. G.S.Cameron and James H. Turner assisted the Magies in carrying out their wishes for this disposition. 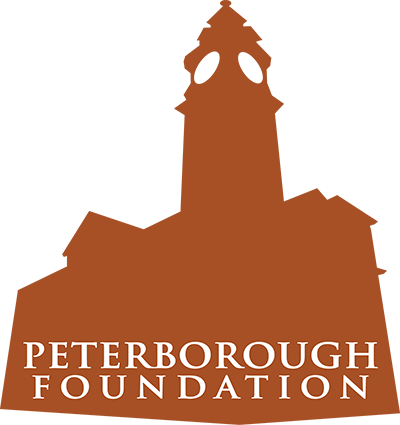 The result was the incorporation of the Peterborough Foundation in September 1953. Mr. Magie paid the incorporation expenses and made a considerable capital donation of $5,000 to bring the Foundation into effect. Mr. Magie’s modesty would not allow his name to be part of the Foundation name and it was to remain inactive until after he died. He also named the first Directors. Mrs. Jessie Magie died in 1954. Upon her death she bequeathed her estate to many personal friends and charities and the balance went to the Foundation. Mr. Magie died in 1956 and the residue of his estate was passed to The Peterborough Foundation. The Foundation is required to pass its accounts before the Surrogate Court of the County of Peterborough at regular intervals. Complete financial statements are presented to the Court and become a matter of public record. The Foundation has distributed in excess of $2,000,000 over the years from a capital base of just under $1,000,000. The majority of these funds have come from Mr. and Mrs. Magie and other donors. Contributions continue to be critical to the viability of the Foundation. A charitable tax receipt is issued for all contributions to the Foundation.